A country road and a blind bend ahead – what if there are road works behind the curve or a vehicle has broken down? Most motorists wish they could be warned, if there is a pontential hazardous situations ahead. Car-to-car communication technology aims address this issue by ensuring vehicles are warned or warn the other traffic in potential dangerous situations, even allowing cars to react automatically. Nearly every OEM in the Automotive sector works on this technology. Even though vehicle manufacturers have agreed on standards and specifications for communication between vehicles spanning all brands, Car-2-Car technology still lacks a reliable, reproducible automated test methodology. Potential weaknesses and malfunctions have to be detected and resolved in the test lab, before the new technology can be deployed in the field. Arbitrary traffic scenarios can be created with a few drag & drop actions. Radiation patterns are taken into account for calculating the signal strength between vehicles and setting them on the attenuators. Qosmotec aims to solve this issue. Together with RWTH Aachen Universtity and Vector Informatik we develop a signal strength emulator for hardware-in-the-loop (HIL) test facilities in the automotive industry. This poses a challenge, because public mobile networks and Car-2-Car technology have different parameters. “In Car-2-Car communication we are dealing with Ad-hoc networks”, explains Qosmotec’s Managing Director Mark Hakim. “This means there is no distinction between fixed base stations and mobile subscribers. All devices communicate directly with each other while they are moving. They also assume different roles, e.g., message broadcaster, router or mobile receiver.” For this ad-hoc network emulation, a new hardware setup had to be developed with configurable radio links between all network participants. Currently Qosmotec works on traffic and channel models that simulate driver behavior and resulting radio propagation impacts on the communication channel. Qosmotec co-operates with the Institute for Theoretical Information Technology at RWTH Aachen University. They focus on propagation models based on real building environments, based on an approach derived from ray tracing. 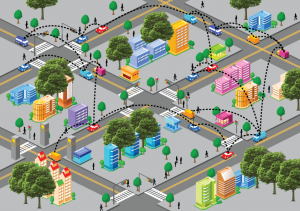 “This allows predicting signal propagation for drive tests through actual streets. 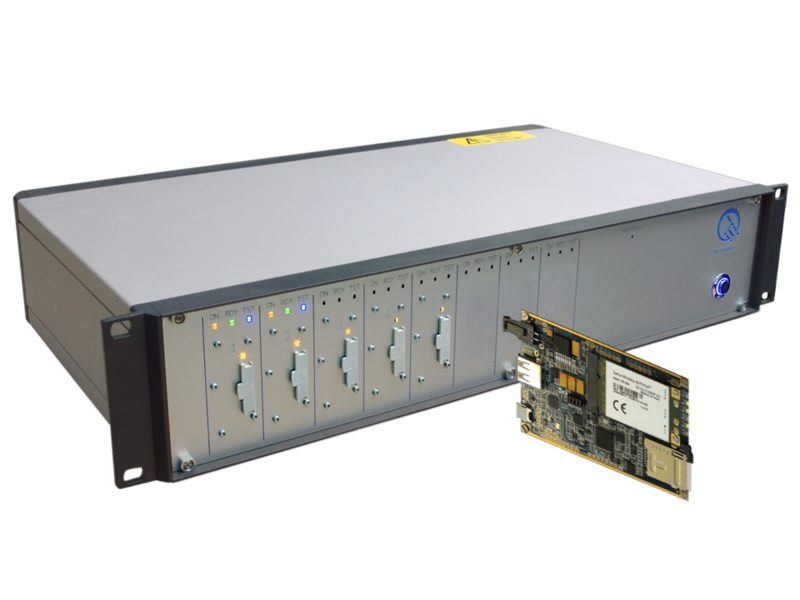 A huge step for Car-2-X technology, as conducting virtual drive tests in the lab keeps the required resources to a reasonable amount,” says Mark Hakim. Day-One applications for Car-2-X communication: Improving saftey by warning the driver in case of critical situations, e.g. roadworks, emergency breaks, traffic jams, crossings, approaching or slow vehicles and obstacles. All these situations can easily be created in the lab with virtual drive test software. Besides propagation models, there is another challenge: “Our approach is based on our propagation effects replicator QPER which is designed to model the air interface but not to control the wireless equipment involved”. Here, Vector comes into play. Its widely-used software CANoe to develop, test and analyze electronic control units (ECU) has been extended by a new component CANoe.Car2X. It can handle the WLAN 802.11p protocol and the ETSI specified messages for cooperative awareness and decentralized environment notification and allows controlling On-board Units (OBU) and Road-Side Units (RSU) as well as simulating them. Qosmotec and Vector have joint forces to combine their tools. 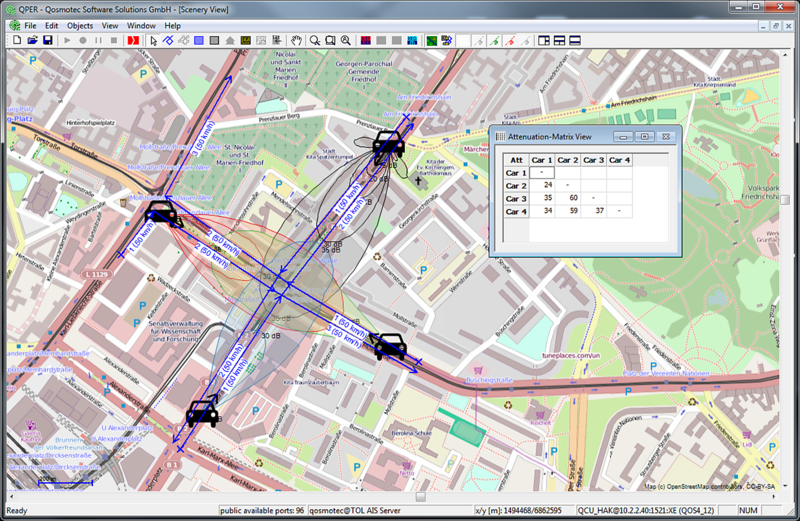 GPS-Positions simulated in QPER are transmitted by CANoe to the EBUs involved. “By joining CANoe’s Car-2-X extension with the air interface simulator QPER, we provide the necessary test set-up to enable testers to run virtual drive tests in their lab”, says Hakim. Testers can emulate traffic and infrastructure, and model user behavior. 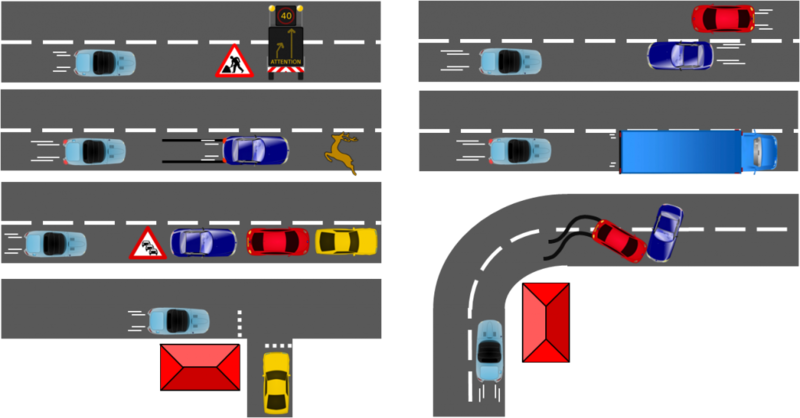 Standard scenarios, like road works, slow traffic or crossroads with restricted visibility are supplied. This enables engineers to check whether the technology reacts as required and brings Car-2-Car technology a step closer to market. First results of this joint development will be presented at the Car-to-Car Forum that is taking place in the town hall of Braunschweig on October 22nd / 23rd 2014. Germany has a fairly good reputation as research location and is famous for its dual education system that combines practical apprenticeships with vocational training. For both areas, Qosmotec is a good example, how research and education are integrated into a company’s workaday life. There are about 3.5 million enterprises in Germany, but less than one percent of them participate actively in research activities. This figure has been found out by the Stifterverband für die Deutsche Wissenschaft. Qosmotec belongs to this small group and was recently awarded the seal of quality “Innovative through Research” for their contribution to industrial research activities. It is actually surprising that the portion is so small compared to Germany’s standing in the world. “Apart from Chemistry, Pharmacy and Medicine Technology, most research is done at universities and only leaves them, when scientists and academics found spin-offs, because they believe, that they can commercialize their results”, says Qosmotec’s Managing Director Mark Hakim. Qosmotec has gone a completely different way. “We are not an academic spin-off. Our complete management team already had years of experience in other companies, before we started Qosmotec in 2004”. It became soon obvious, how much more could be achieved, if research results and promising ideas would drive the development, rather than just reacting to customer demands. We got in touch with the institute for theoretical information technology at RWTH Aachen University, who do research on signal propagation models. 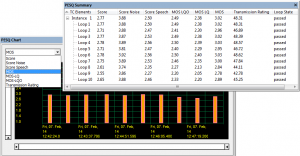 “This was a fantastic add-on to our signal propagation emulator QPER. We found a way to make good use of their research results and integrate them into our simulation software”, explains Mark Hakim the co-operation. In the end it turned out to be a perfect synergy as Qosmotec could took over the part of the practical implementation of research results. For these activities we could make use of public funds that support those kind of co-operations several times. “The number of enterprises, who would like to do some co-operations of this kind is much higher than those, who actively do them. The reason for this is, that research seems too much theoretical on the first glance and people either do not know how or are afraid of the effort to use them practically”. The tasks that Qosmotec deals with are also challenging enough for writing a bachelor or master thesis. Therefore, Qosmotec is able to offer very attractive apprenticeships for A-level degree students that cannot be found so often in Germany: Our young employees, who become Mathematisch technische Software Entwickler, are educated as application programming engineers by Qosmotec and study in parallel Scientific Programming at the University of Applied Science in Aachen. After three years, they write their Bachelor Thesis in Qosmotec. “We always find a subject which also pushes our test systems”, guarantees Mark Hakim. For example, the test automation app Qosdroid which is now an important application within the LTS platform, has originally been initiated by a such a student project. Since 2008 we have been qualifying six students through an apprenticeship. By now, all of them have become regular employees at Qosmotec. But it is also possible to continue studying in an additional master degree program – for example becoming a master in software engineering. Next week, in the last article of our jubilee-series, we present a current new research activity in Qosmotec: The development of a signal strength emulator for the upcoming Car-2-Car Communication. This activity combines both aspects mentioned above: It is another research project where the Technical University is involved and it offered enough possibilities for student projects and bachelor thesis’s. Nowadays, many services are based on wireless networks, where the service provider is not owner or operator of the mobile network. The most popular examples are Virtual Network Enablers and Operators. They offer very attractive subscription models for usage in specific foreign countries and other value added services. Their testing process is typically very difficult, because they need to verify their services in various networks. It gets really tedious, when the tests have to involve international roaming from one country to another. 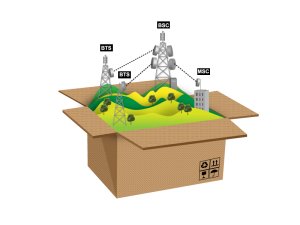 Exactly for these purposes, Qosmotec has invented the Network in a Box – a combination of a freely configurable mobile network (consisting of core and radio network part) and a handover emulator. 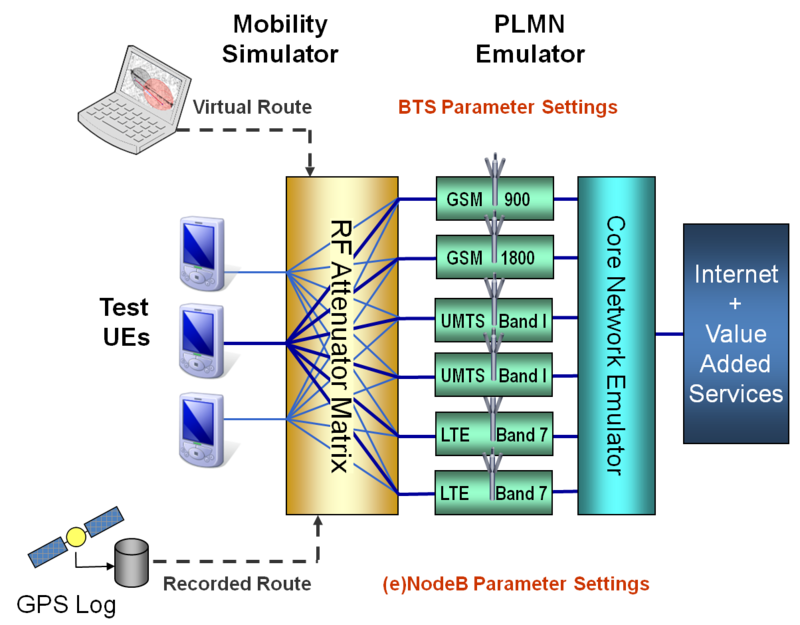 The radio part of the mobile network emulator consists of signal generators specifically for GSM 900/1800, UMTS Band I and LTE Band 7 (2600 MHz). Each signal generator can be configured with all relevant cell parameters like Mobile Country Code (MCC), Mobile Network Code (MNC), Location Area Code (LAC), Cell Id and Frequency (ARFCN) and then creates a correctly modulated signal that is detected by any mobile phone. 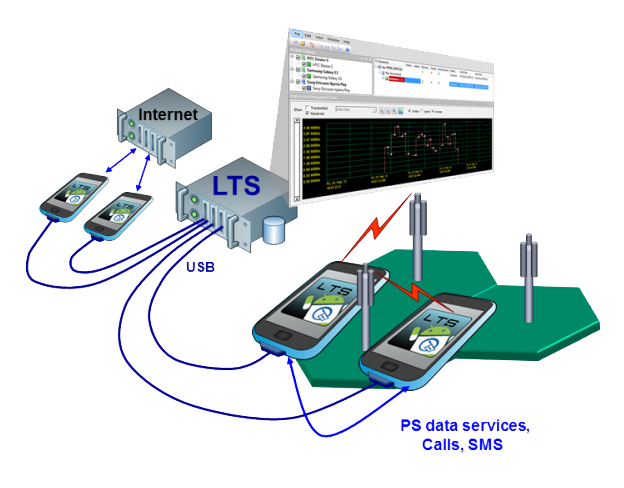 “With two, three or four cells, you can simulate the local situation in any country, emulating various network operators or in a border region, emulating networks in different countries”, explains Qosmotec’s Managing Director Dr. Dieter Kreuer, who has developed the concept of configurable mobile network for test laboratories. Configuration time for switching a cell to a completely new configuration is 15 – 20 seconds. “Most probably the quickest way to get a bit of vacation feeling, when you see the name of a caribean mobile network operator on your phone”, says Dr. Kreuer with a smile on his face. Your mobile phone recognizes the emulated cell in the network search. To be able to register to the emulated network, the SIM card must be added to the Home Location Register (HLR) that belongs to the emulated core part. During network search, the phone sends its IMSI number which can be added to the HLR. Thus, an administrator can maintain the test network and make sure, that no uncontrolled registrations occur. Once registered, the mobile phone can use all services of a normal mobile network. Above all, testers can influence on the mobile network behavior and therefore act like a real mobile network operator. He can establish network generated calls, can let the mobile network send SMS messages or influence the quality of a data transmission by setting packet delays or packet losses separately on the uplink and on the downlink. And he can freely configure USSD services – from simple subscriber requests up to complex interactions between subscriber and operator. “For virtual network operators, this is the most important test functionality, because most of their value added services on SIM cards are based on textual communication with the network”, says Dr. Kreuer. 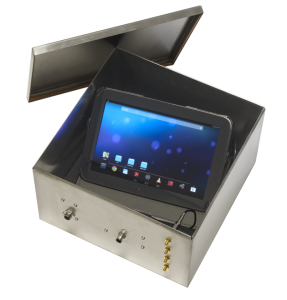 The combination with Qosmotec’s field strength emulator QPER, that emulates the subscriber’s mobility in the wireless network, makes the network emulator now a real mobile network in a box.. The neighborhood of cells can be set as a part of the cell configuration,. Dr. Kreuer knows, what this is good for: “If two cells are linked together as neighbours, a handover between them is possible, while otherwise the network connection would be completely interrupted, when the mobile changes the cell”. With this capability, the emulated cells can supply input for a handover matrix consisting of digitally controllable attenuators, and the mobile phones on the other side of the matrix can see several cells with user controllable strength and move between cells or roam between countries. The control of the complete emulated mobile network is smoothly integrated into the QPER virtual drive test software. Having preconfigured the cell parameters, they are set on the signal generators by simple drag & drop actions and it is clearly visible, when they are activated. Users can see, which mobiles attempt to register to the network, when they have been successful and what type of link they have (circuit switched or packet switched; GPRS, EDGE, 3G HSPA or LTE data transmission). Intelligent Transport Services applications that go via 3G and 4G, where the driver shall be able to rely on internationally. When Apollo 11 took off in July 1969 to conquer the Moon, a computer, much less powerful than an Android smartphone today, supported the flight into space. While using a smartphone is not exactly rocket science, their capabilities are still challenging enough for mobile networks. Therefore, network operators want and must employ phones that they recommend to their subscribers in their end-to-end test process. This allows them to test their complete portfolio and ensure all services they offer run flawlessly in their live networks. However, integrating UEs into an automatic test system may turn out to be a pitfall for engineers. Especially, as smartphones are not designed for automated control and therefore, most features cannot be controlled over conventional interfaces. “Some features can only be accessed via the OS. This includes very basic features, for example the flight mode, which is important to detach UEs from network. Still all these functions have to be tested in end-to-end tests and therefore must be executed in LTS”, says Qosmotec’s managing director Dr. Dieter Kreuer. 1. Finding a sustainable solution to integrate smartphones into LTS to ensure comprehensive end-to-end tests for all phone models on the market. 2. Gaining independence from individual telephone hardware, an issue since Qosmotec’s founding days. They came up with a Test Automation App to control smartphones using an Android OS, Qosdroid. “We were getting nowhere with AT interfaces. So we decided to take advantage of the fact that a smartphone is a small computer and use the OS to get access to all features,” says Dr. Kreuer about the strategy behind Qosdroid. This also simplified the LTS system architecture. 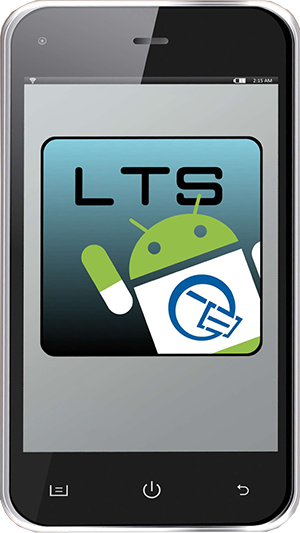 While for controlling phones via AT-commands a separated control computer (the so called Mobile Control Server MCS) is a mandatory system component, the test automation app can be installed on Android smartphones from all vendors and allows users to run LTS test cases directly on the smartphone. 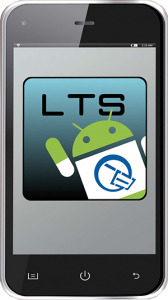 “Once the app is installed it can execute LTS test cases directly on the phone via the Android OS”, explains Dr. Kreuer. While this solved the issue how to integrate smartphones into LTS, Dr. Kreuer highlights the independence from telephone hardware gained through Qosdroid: “It makes us and our customers much more independent from telephone hardware. It is very much plug and play. Qosdroid basically just needs an Android OS regardless of model and manufacturer. One no longer needs to check whether a new phone-model is compatible with the test automation system. We avoid a potential pitfall: integrating new hardware in a test automation system. Our customers can run end-to-end tests with new models once they are available”. Last not least Qosdroid enables testers to take advantage of each attached UE’s processing capacity. This means the number of test UEs in LTS can be scaled up without additional backbone processing power. “Users can attach as many smartphones as they like and extend their existing test systems without any alteration of their set-ups”, summarizes Dr. Kreuer. Space saving individual shielding: Up to 8 RF Guards fit on a rack shelf. First, it seemed like a crazy idea that Qosmotec should have its own shielding box in the portfolio. There are so many ways to protect mobile phones from external RF disturbances: Variants with plenty of mechanical opening mechanisms, with meshes on top or on the side for visual inspection and manual intervention, in ergonomic designs, in sizes from a small freezing compartment to a whole fridge … Why should Qosmotec design one of its own? Cost-effective, so that individual shielding of each UE stays affordable. 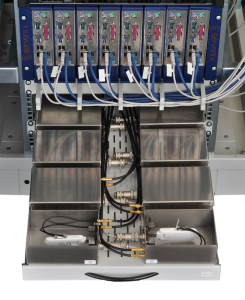 Our first shielding box was manufactured in 2011 and was with 16 cm length and 11 cm width primarily made for datasticks. Two SMA connectors lead into the box, so that it can also be used for MIMO tests. “Our vital contribution to RF shielding in combination with test automation is our software controllable USB circuit”, explains Qosmotec’s technical director Axel Voigt the uniqueness of this box. “We have written a little software application that can interrupt each USB port individually. This is necessary, if during an automatic test run a situation occurs, where a UE needs to be removed from the USB port and plugged in again – a situation that can never be excluded when working with commercial UEs, especially, if they are brand-new or even still under test for market introduction”. This software is available as a GUI for Windows as well as an API for Windows and Linux, so that it can be very flexibly used in any environment. Of course, it is an integral part of our Mobile Network Tester LTS. While the shielding boxes were originally planned to be used only in LTS, the concept recieved surprisingly great feedback, so that Qosmotec decided to offer them also independently from our system under the name “RF Guard”. Very soon, new box sizes were needed. While an IPhone or a Samsung Galaxy S2 still fitted into a box, the later upcoming 5 inch smartphones could hardly been squeezed into one. So we slightly extended the length to 20 cm and provided a 90° angled USB cable to save space on the connection. As an optional extension, we provided interfaces to feed the phone with 12 V power to charge the battery in parallel to testing and to operate the mobile’s power button. The new version for larger UEs: Desgined for tablets, routers and UE prototypes that do not have their final form factor. It also supports control via Ethernet. Meanwhile, even a bigger box is available. With ground dimensions of 30 x 30 cm and a height of 17,5 cm, still two of them can be mounted on a rack shelf consuming 4 U in the rack. These boxes are also equipped with an Ethernet Interface, absorbing foam inside, and have 4 RF connectors, so that 4×4 MIMO can be tested inside. “Actually, this size breaks our original concept of a tiny box. But this adaptation was not that complicated to realize in the end and now fulfils also the demands of our users, who want to test with tablets, routers or prototype developments that have not reached their final form factor”, says Axel Voigt. New developments on the shielding boxes are already ongoing. For example, a lot of testers have struggled with smartphones not charging fast enough, when using a USB cable for data connection. Therefore, tests might interrupt after a certain time, because the battery is empty. The reason for this is, that a USB connection to a computer charges with only 0.5 Ampere, but might consume more, especially when it reaches high data rates. Original vendor chargers can provide a higher charging power, but normally it is not possible to use both in parallel. Qosmotec has now overcome this problem and develops a circuit for the shielding boxes that enables to use the data connection to a computer as well as original vendor chargers in parallel. The demand for a USB 3.0 interface is rising. “Normally, high data rates through the interface in the box and effective shielding are excluding each other”, explains Axel Voigt the problem on these technologies. Nevertheless, Qosmotec is working on this technology to provide a satisfying solution also for this. This makes obvious in the end, that it was not such a bad idea to work on our own shielding boxes. 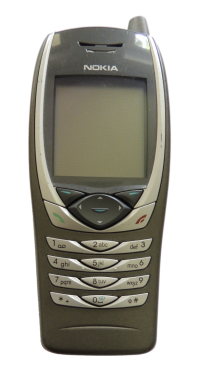 In the late 90s, it seemed to be a sort of magic to make a mobile phone ringing without typing the number of the recipient explicitly on the keypad of another phone. At the GSM World exhibition in Cannes (today’s Mobile World Congress, which has been moved to Barcelona), an exhibitor even had a magician at his booth to impress visitors with this kind of trick. 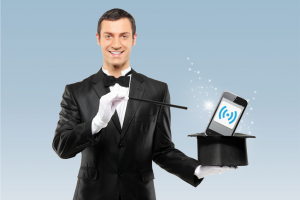 “It is not illusion, it is technology” said the magician at the end of his show. Axel Voigt and his team have vastly extended the features and capabilities of the remote probes over the last years. “The reason, why we use industrial modems inside the probes instead of commercially available handsets is not merely a matter of compactness and construction, it is because of the test results that we want to provide our customers. These modems are made for remote control purposes and allow to extract information that the user would typically see on the display of his phone. This approach is much more effective than using complex techniques like image or voice recognition.” Modems for all kinds of mobile technology are available, covering all relevant frequency bands for 3G and 4G in Europe as well as America and Asia. Also American CDMA and EV-DO standard are supported. 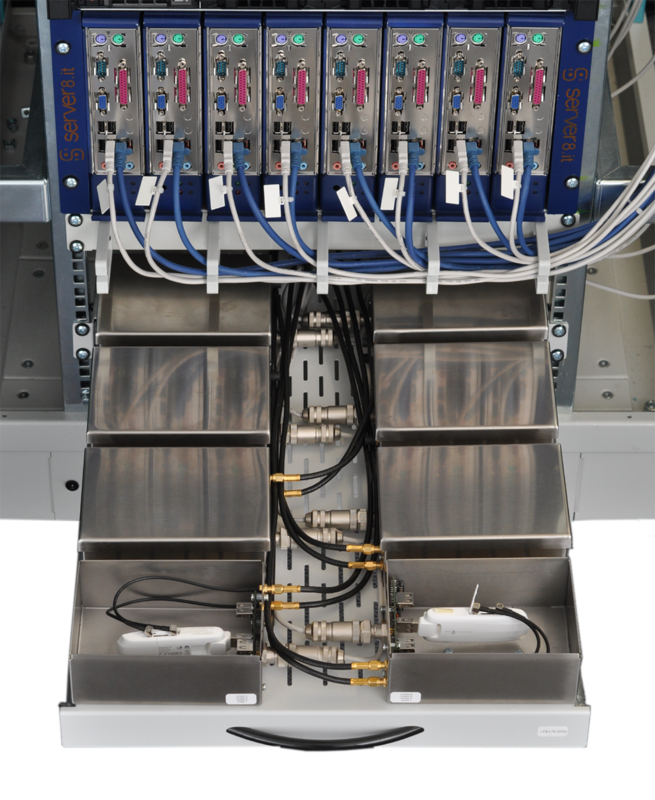 The SIM array provides the platform for international roaming tests. 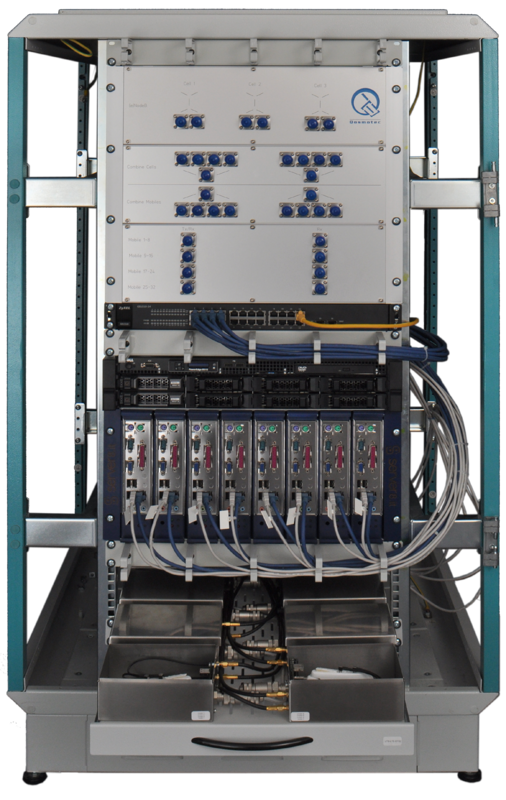 Up to 13 SIM boards can be plugged into one rack. It makes the remote tests even more convenient that the modems do not necessarily need to be equipped with SIM cards before shipping the remote unit. 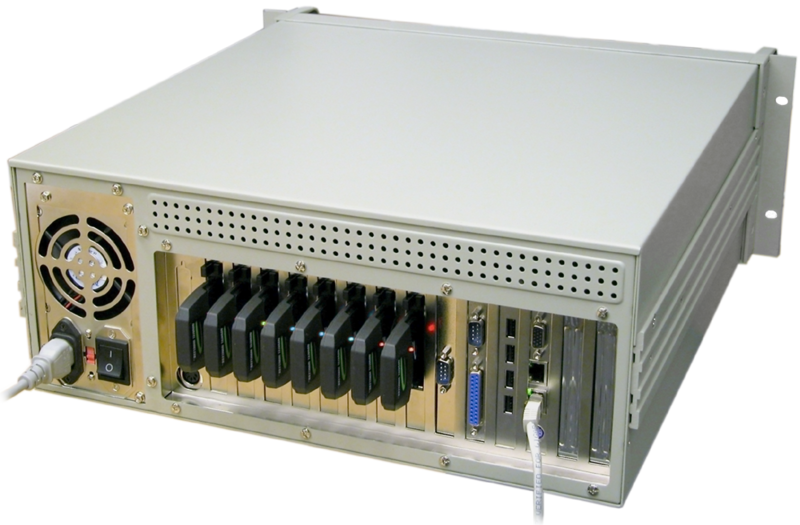 All needed SIM cards can be kept together in a SIM array with the LTS central control unit and can be mapped via software before test starts. This reduces planning effort for test execution as well as the amount of modem equipment needed drastically, because the same mobile can work sequentially in various operators’ networks without any physical interaction. This is the basis for the full automation of IREG test cases. Though it is just a very simple concept of spatial separation from the hardware components mobile and SIM cards, it is sometimes really difficult to explain, what it does. “Very often, people think that very mysterious things happen when transmitting the SIM card information to the modem”, tells Axel Voigt about serious misinterpretations that he has already been confronted with. But there is no simulation of a SIM card, nor is there any modification of the information on the SIM cards. 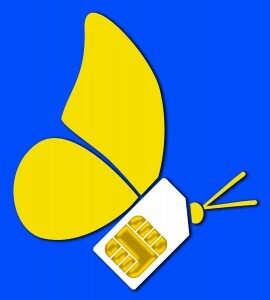 A picture that we really like is the representation of a SIM card in form of a butterfly, symbolizing that the SIM is flying from one location to another. The only prerequisite is a stable internet connection between central unit and remote probe. IREG test automation is one of the most important applications of LTS-F. Qosmotec can provide ready-to-use test sets for IR24, 35 and 60 specifications. But LTS-F is also very intensively used by Virtual Network Enablers and Operators (MVNEs and MVNOs). They use it for functional tests in those countries, where they are offering their services and just need to send a probe there, while they can execute all tests from their respective headquarters. A conclusion that is confirmed by Qosmotec’s executive board member Dr. Dieter Kreuer: “No matter how important data rates have become, the main purpose of mobile networks is to enable voice calls.” But testing voice quality in fully automated test systems is something easier said than done. Unlike human beings automated test systems cannot distinguish whether a sound pattern is interrupted by signal loss or because a speaker has finished his sentence. But how to measure the quality of sounds? The acurate ear of a musician is more likely to have perfect pitch, than somebody, who has stayed too long in the discotheque the evening before. 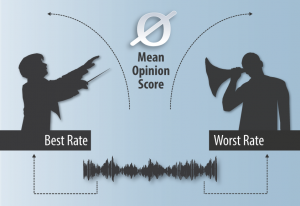 And exactly this is the key for the so called “Mean Opinion Score” (MOS), the most important performance indicator for the rating of voice transmission. Based on a standardized algorithm, it averages the opinion that you would get, when a certain number of representatively selected people would listen to the same sound sample. Each of them would have a different opinion, but in total, their rating would give a good picture on the sound quality. It is also distinguished between a referenced rating, e.g., direct comparison between the original and the transmitted sound, and the unreferenced rating, which means the rating of the transmitted sample without knowledge of the original source. 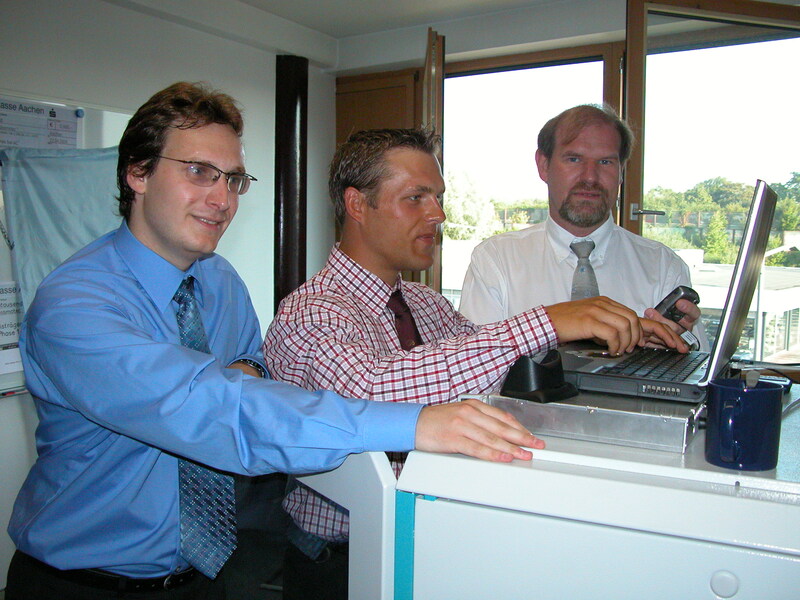 Voice quality testing is an integral part in Qosmotec’s test automation system LTS. Dr. Kreuer explains how Qosmotec has addressed the issue: “To make voice quality tests in LTS possible, we integrated the algorithm for tests according to the PESQ standard.” Perceptual Speech Quality (PESQ) is the standard that has been defined by the ITU Telecommunication Standardization Sector (ITU-T) to rate voice as described above. In LTS, we use referenced voice testing, so that results really reflect the transmission via the mobile network and are not influenced by badly recorded voice samples on the input side. Basically, the tester can use any voice sample in any language for testing. For example, the PESQ mechanism can also be used to compare voice samples with each other. If a tester wants to check for example, wether an announcement is correct (or if it is spoken in the correct language),he can use PESQ to compare the received message with the expected announcement. If those differ from each other, this will lead to a bad Mean Opinion Score. For real network quality tests, we recommend to use a sample that comprises various languages as well as combinations of men and women speakers, which is ideal to provide a Mean Opinion Score with high granularity. 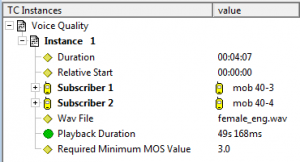 LTS lists all voice quality KPIs and depicts them in graphics. However, integrating a PESQ algorithm into the LTS software alone does not solve all issues concerning voice quality tests in automated end-to-end systems. The hardware setup also has to be taken into consideration. With commercial handsets, it is almost impossible to execute automated tests for voice quality, because analogue voice would have to be digitalized first. This in turn leads to an additional loss of quality that is not caused by network transmission and is therefore irrelevant for testing. For this reason, Qosmotec uses industrial terminals for voice testing instead of commercial phones. These have a digital sound interface and therefore allow recording the voice as it is received. The Westerwald low mountain range on right banks of the river Rhine is not the obvious place to build a high-speed railway line. However, over steep climbs, through long tunnels, cutting through hills, and over viaducts arching across small valleys run the trains of the Cologne-Frankfurt high-speed railway with speeds up to 300 km/h. What is a master-piece of civil engineering is a nightmare for network operators. Signal strength is impeded by all sorts of disturbances and sufficient coverage hard to achieve, but still vital for some. GSM-R is a very special wireless technology to control high speed trains and ensure communication between railway staff. The operator has to ensure that there is no communication loss along the entire line, because the communication is security relevant and a disconnected call may have fatal consequences. 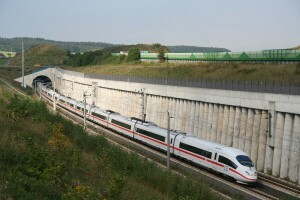 Still, it was on the above described line through the Westerwald mountains where the operator of the German GSM-R network noted that the connection of a Voice Group Call was always interrupted in a certain area. To detect what caused the interruption proved to be difficult. Test drives were nearly impossible, as test trains are only allowed to drive with very low speed and the whole track has to be closed for them. The solution to this problem was Qosmotec’s virtual drive test concept. Qosmotec was in 2004 the first company to offer network operators a solution that enabled them to emulate drive tests in their test lab and achieve complete reproducibility of radio conditions. 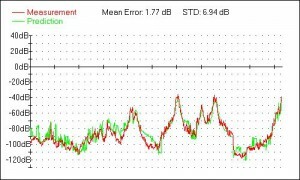 For this, we have helped ourselves with a technique that was anything else but new: The use of digital step attenuators to control the signal strengths received from several base stations. We enhanced it with a control software that is able to model real life like conditions and to calculate the correct settings, so that tests in the lab really reflect what subscribers experience in the field. “Signal strength emulation is a very powerful method for reproducing radio conditions. The typical misconception is that it is only about ramping up one attenuator while ramping down another. It is much more than that”, explains Qosmotec’s managing director Mark Hakim. By means of controlling attenuators based on physical models, it is possible to simulate the most impacting radio conditions like signal degradation, shadowing, and even fast fading. Also 3D antenna pattern can be perfectly modeled in the lab – without making any change in the radio part. German news channel N24 took note of Qosmotec’s virtual drive test approach in September 2013. 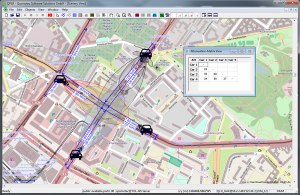 This virtual drive test concept helped to reconstruct the GSM-R network operator’s problem. It was possible to extract the conditions, under which the call disruption occurred, from radio measurements taken in the problem area, and to replay the whole scenario on the attenuator hardware at the DB test center. With this reconstruction the reason could be found. A cell change after a hill, where a frequency had been reused, was not successful – a result that became only obvious in execution, not in network planning. Another example was a tunnel scenario that was re-created with a large European network operator in their test lab. 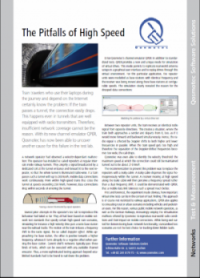 In this case, all standardized channel emulation scenarios failed to reproduce a situation where data connections got lost in high speed trains, while they were stable in normal trains. But the situation described by the customer was almost trivial to re-create with the virtual drive test approach. We detected exactly under which radio conditions the problem occurred and how it could be solved. 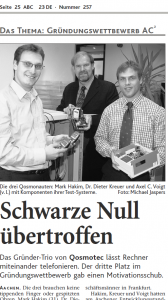 A detailed description of this use case has been published in the magazine “Funkschau” in 2010. Together with the institute of theoretical information technology at Aachen University, Qosmotec also developed a mechanism to emulate drive tests through real cities. “Our propagation algorithms take into account radio wave reflections, deflection and diffractions on cities and can calculate signal strength and multipath effects in any location in a city”, explains Dr. Michael Reyer the research activities that contribute to our QPER feature for predicted drive tests. With these calculations, emulations can be done, based on building data of any city. Comparisons between a real drive test executed in the city of Munich and a virtual drive test show an impressive compliance of the completely theoretical approach with reality. 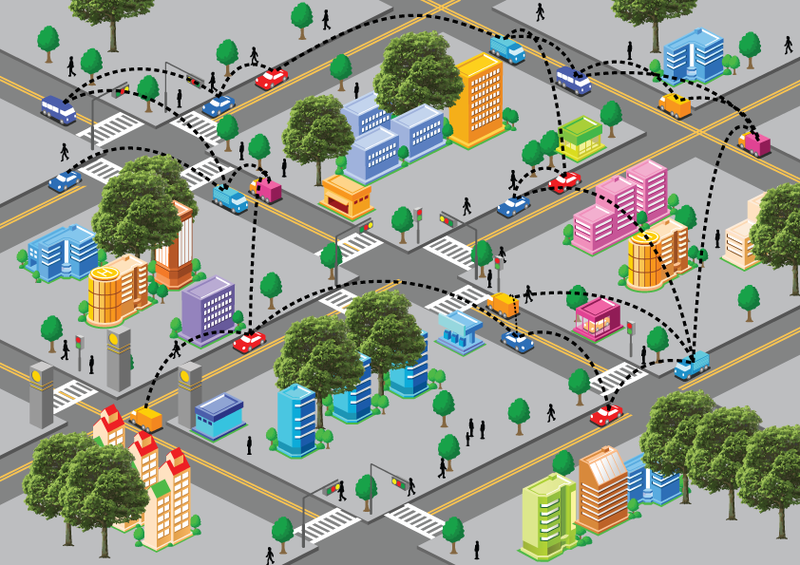 Currently, Qosmotec runs a new project to adapt those algorithms for Car-to-Car and Car-to-Infrastructure communication. 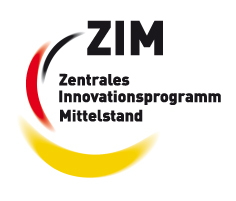 This joint research activity is funded by the German ministry for economics BMWi. Over the years, the Qosmotec virtual drive test approach has become popular with mobile network operators – but infrastructure vendors have adopted the idea as well. Mark Hakim explains the success of Qosmotec’s methodology: “It is so simple to use and goes far beyond standard conformance test methodologies. With a few mouse clicks, it offers a high versatility in creating test scenarios that have already revealed a lot of problems which would have remained undetected otherwise”. Signal strength simulation is still the most important simulated propagation effect, but it is not restricted to that. With LTE and the MIMO technology coming up, Qosmotec has extended the approach to simulate phase differences of multiple antennas on sender and receiver side. Currently, we are developing a solution to emulate even multipath fading. “This will be an interesting solution, especially for wireless technologies restricted to short-distance communication like WiFi or Car-to-X communication technology”, says Mark Hakim. First results on this are expected for the first quarter of 2015. “We plan to introduce our solution at the Mobile World Congress in March 2015 in Barcelona”. While automatic network testing today is focused on LTE, ten years ago Qosmotec had to deal with the introduction of the UMTS networks in Europe. 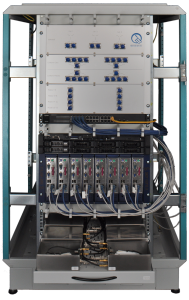 The newly founded company had just received the order to supply a test system for Europe’s first UMTS network and had to integrate a new technology into its test systems, which was nowhere available in the field. One of the main challenges at this time was a very simple, but severe problem: “There were no UMTS phones available in Germany in 2004. Luckily, Aachen is just on the border to Belgium, where we got hold of a Nokia 6650, one of the first available UMTS mobiles, to develop our first UMTS test system with”, says Mark Hakim. Integrating new technologies into its test system is an issue Qosmotec has come to deal with almost on a daily basis. “Network operators use our test systems to run laboratory tests with bleeding edge technologies that have yet to be rolled out. We have to see, how we get access to the latest phone models – sometimes even in pre-commerical state – or to industrial modems with latest chipset to integrate them in our test system,” explains Mark Hakim. 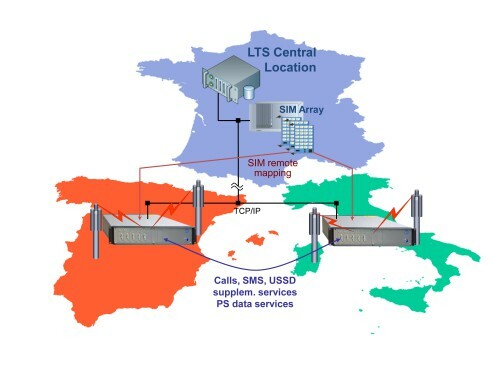 When Qosmotec supplied H3G with a test system to prepare the roll out of Europe’s first UMTS network in Italy, they were asked to test video calls. “That was the feature which was used to advertise 3G technology at the time. We solved this by using a Motorola A835 phone – a mobile with a really large display and an even bigger body. We integrated 16 of these phones in a rack and used them for integrated testing,” remembers Mark Hakim. Another important aspect of HSPA was quality of service. Network operators had started to promise certain data rates to their subscribers, meaning they had to ensure that these rates were constantly available. “We tackled this issue by developing a feature that made it possible to request a certain data rate from the network and the test system could verify whether this specific data rate was actually provided to a specific subscriber,” says Hakim. Since then, the issue of constantly available data rates has been intensified by LTE and LTE Advanced. The latter being promoted with 150 Mbit/s, and specified with a peak rate of 3 Gbit/s. 10 years Qosmotec – over the course of the next 10 weeks, we want to tell ten interesting stories about our company, our different fields of activity and our technological achievements. To be prepared as good as possible, the three founders participated in a business plan contest in Aachen, which was carried out for the first time that year. “Our ideas gained approval, and we ended up as one of three winners. By the way: Qosmotec was the only company of the rewarded ones that was actually founded,” lets Hakim know smiling. 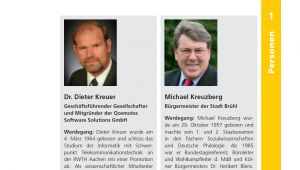 Over the years, Qosmotec has established substantial reputation: Dr. Dieter Kreuer in his position as Qosmotec director was listed as one of the 500 most important people in the Rhineland region in 2012. But even the best business concept would be worthless without engaged and convinced co-operation partners. Right after founding the company, we established sales partnerships with Delo Instruments in Italy, Artiza Networks in Japan and Teraquant Corporation in the US which all generated first business within a few months. Based on these experiences, Qosmotec maintains a network of local sales agents, who know and understand the customer needs, and who can help them in any kind of questions and problems. “It is very important for us to have these front-ends to most of our customers. The feedback of our sales partners has helped us a lot to improve our products over the time”, honors Mark Hakim the work of Qosmotec’s sales partners. Today, our most successful co-operation is with FSTC consulting from Vienna, who have taken over the responsibility for Austria, Germany, and several other European countries. On the technological side, Qosmotec is not on its own. 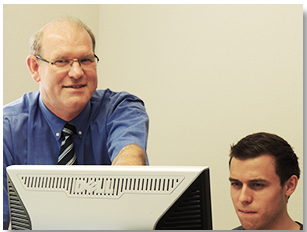 The most outstanding and closest co-operation with the electronic designer Manfred Kopp from Aachen persists already since 2004. “Manfred and his team have often helped us out with tiny and intelligent designed circuits that are custom made for our products”, says Mark Hakim.